OUT NOW! Now available from the HackettSongs webstore! 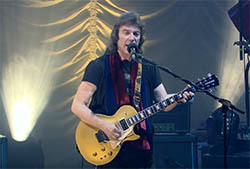 Groundbreaking prog guitarist Steve Hackett has announced the release of his acclaimed Acolyte To Wolflight With Genesis Revisited Tour as 2CD/2DVD deluxe package and stand-a-lone Blu-Ray and, after three London concert videos, he chose the Liverpool date for the recording. The Total Experience Live In Liverpool will be released on 24th June. "When Inside Out told me that I could film a gig on the British leg of the 2015 tour for release, I thought that we should do it away from London (and) I felt doing it in Liverpool had a certain ring to it" - explains Hackett enthusiastically - "This is an extraordinary city and the Philharmonic Hall is an extraordinary venue. Besides, it's not as if Liverpool is known for having any good music - there's never been a good band from there. Ha!" 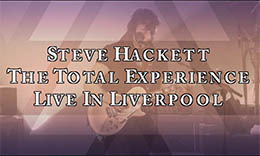 Hackett's love for Liverpool goes back to his time with Genesis: "We played there a few times in the '70s, and the fans have always been very good to me there. And as a huge Beatles fan, I also know the landmarks there, such as Penny Lane and Strawberry Fields. I have been on the Magical Mystery Tour. So, the city means a lot to me from that point of view as well. The Beatles set the benchmark for all of us who have followed; we take our imagination from them." Celebrating the 40th anniversary of his first solo album 'Voyage Of The Acolyte' and following his latest 'Wolflight', the 'Acolyte to Wolflight with Genesis Revisited' tour was Steve's effort to represent the many chapters of his career. 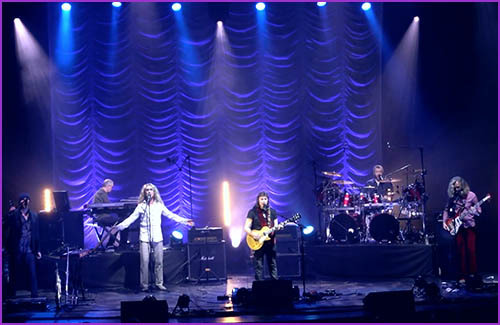 Featuring two sets - one highlighting his solo work, the second paying tribute to Genesis - the two hour performance was greeted with enthusiasm by both fans and critics. "It wasn't an easy job to decide what to include, but I think there was a good balance between old and new." - Hackett comments. "What I have always born in mind when choosing the songs is what they mean to the fans. Time has a way of turning them into an emotional calendar for people. These songs take on an importance and become part of their lives. So, when I do them live, authenticity is important. I am aware that what I have to do is find a connection between nostalgia and what things can sound like in a contemporary setting". Liverpool was one of the dates with Amanda Lehmann guesting on 'Shadow Of The Hierophant', which was performed in its full version with an extended drum solo showcasing Gary O'Toole's skills, a triumphant closing to the first set. A multi-camera shoot, the recording was done with no prior rehearsals, but Hackett had every confidence in the people he was working with. Paul Green, who did the filming and editing, and Ben Fenner, who mixed the audio, work with Steve regularly and knew exactly what he was looking for. "Paul was also very innovative" - Hackett reveals - "He used one particular technique to show what Gary was doing on drums, and it is an unusual effect I have never seen before. The drums seem to arc, because of the lens he's using. It gives a very different perspective to the whole viewing experience." The acoustics in the Philharmonic Hall were very impressive on the night, albeit rather challenging; Ben, who does the live sound for the band, took that challenge with superb results. What you hear in the mix, though, is exactly what the band sounded like on the night with no extensive 'fixing' in the studio, as live should be. 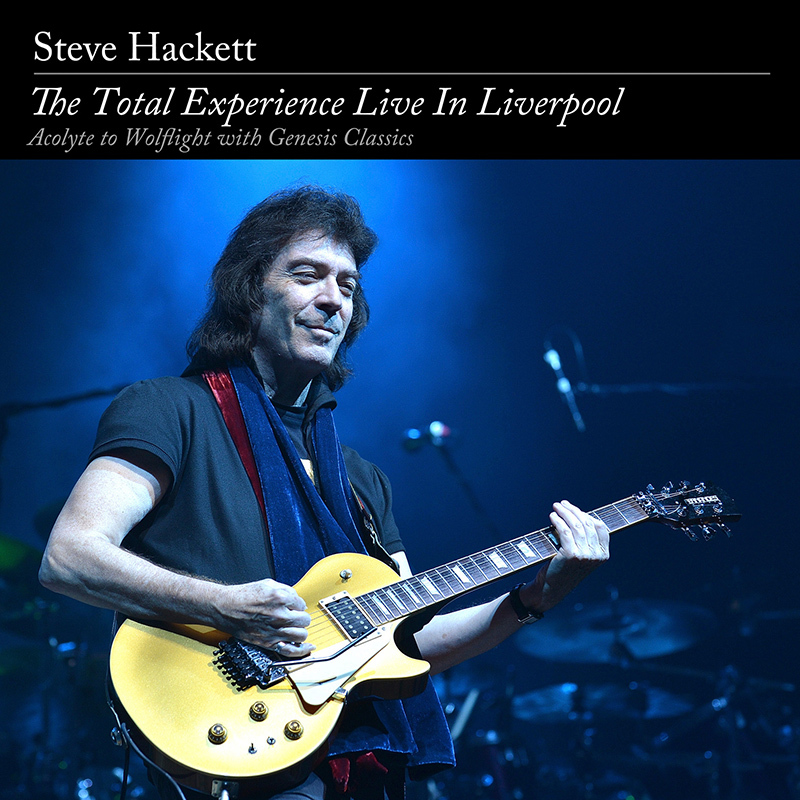 The Total Experience Live In Liverpool will be available as double CD plus double DVD digipak, separate Blu-Ray edition as well as digital album including the two audio CDs.